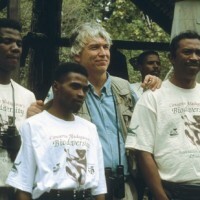 The Lemur Conservation Network is the next step in the lemur action plan published on February 21, 2014 in the journal Science. This important document was created at the Lemur Red-listing and Conservation Planning Workshop organized by the IUCN/SSC Primate Specialist Group on 9–14 July 2012, the first in a series of workshops to re-assess all mammals for the IUCN Red List. The workshop took place in Antananarivo, Madagascar, and was attended by more than 60 lemur experts, about 40 of whom were from Madagascar. Bird-watching is a multi-million dollar industry. But up to now, life-listing has been largely an ornithological obsession, with birders trekking to the far ends of the earth to add some obscure feathered find to their lists. The IUCN/SSC Primate Specialist Group is looking to make primate watching and life-listing the next big phenomenon in wildlife tourism. Visit the Primate Specialist Group website to learn more and to read ground rules and ethical considerations for primate watching and primate life-listing. The IUCN Red List of Threatened Species has been assessing the conservation status of species, subspecies, varieties, and subpopulations on a global scale for 50 years in order to highlight those threatened with extinction, and promote their conservation. Use their extensive search tool to find information on lemurs and their endangered status. This project is led by the IUCN Global Species Program and the IUCN Species Survival Commission. 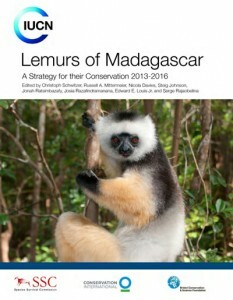 Lemur News is the annual newsletter of the Madagascar section of the IUCN SSC Primate Specialists Group. It publishes manuscripts that deal largely or exclusively with lemurs and their habitat. 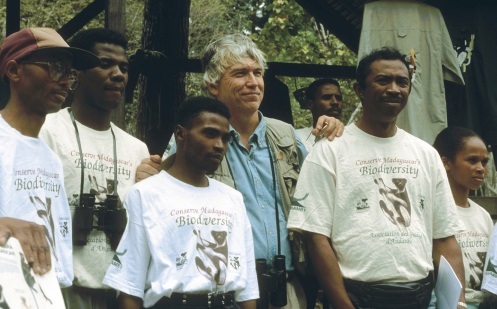 The aims of the newsletter are 1) to provide a forum for exchange of information about all aspects of lemur biology and conservation, and 2) to alert interested people to particular threats to lemurs as they arise. The SOS Newsletter shares news direct from the frontlines of conservation around the world – inspiring news, milestones and people’s stories so you can see the impact we can make with your support for SOS. The SOS Message is: by saving species we are saving ourselves. By focusing on the individual strands in the web of life we make that life support system stronger for us all. Together we can save threatened species, protect their habitats and help the people who depend on them! This atlas is a robust online data portal for all data on lemurs identified in Madagascar. Search for data by location or taxa (species) to find information on taxonomy, observation, threats, projects, researches, researchers, captive animals, education and public awareness, resources, traditional practises, media, research permit, media, and links. This project was led by the Office National pour l’Environnement with a grant from JRS Biodiversity Foundation.